If you liked this show, you should follow The Empowerment Place. Join us this evening for a candid conversation with Avril Somerville as we await the release of her first book, A Journey of Life on Purpose. Avril Somerville writes about creativity, love, womanhood, community, race, and identity through personal essays and poetry. Her writing is intelligent, yet accessible and fluid. In A Journey Of Life On Purpose, Somerville offers inspiration and insight on matters of purpose, creativity, meaning, empathy, transparency, and authenticity beyond the traditional worlds of work and career. She maintains that regardless of what we call ourselves, we all have gifts to bring that should leave the world better than how we found it when we came. Writer, essayist, and poet Avril Somerville was born in the Commonwealth of Dominica. Her family migrated to Brooklyn, New York when she was just ten years old. 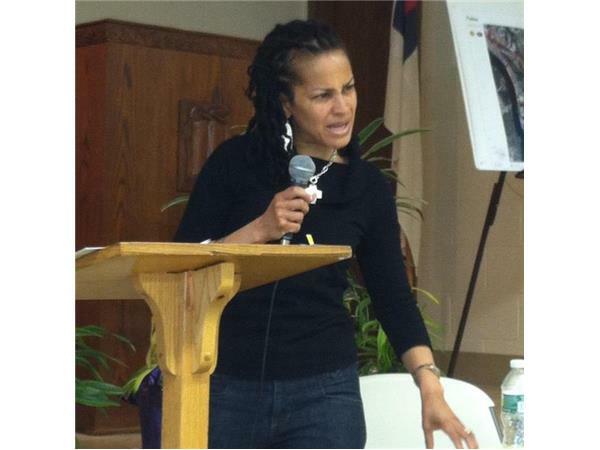 She attended the public schools of Brooklyn, the South Bronx, and Harlem in New York City. Somerville is a first-generation college graduate of Swarthmore College and obtained her Master of Business Administration from PSU Smeal College. She is a writer and teacher who speaks quite capably on matters that transcend religion, class, race, and gender, and is especially vocal on writing as a tool for personal transformation. 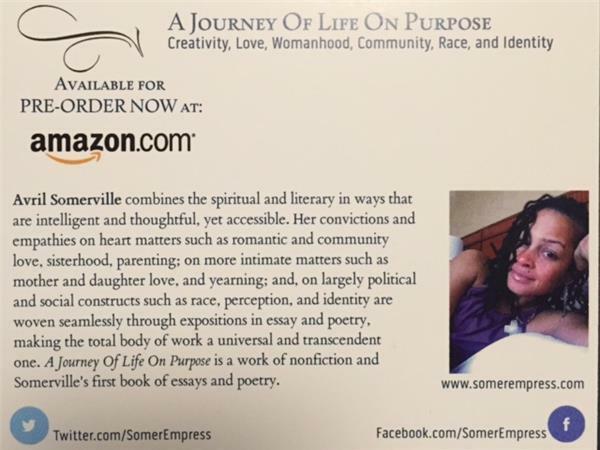 Her first book, “A Journey Of Life On Purpose: Creativity, Love, Womanhood, Community, Race, and Identity” is a nonfiction memoir of personal essays and poetry which she has written while living in the Midwest and Northeast regions of the United States. Join us and be EMPOWERED!